Stories about bad volunteering experiences, voluntourism and things that go wrong when predominantly young people yearn for meaningful experiences in the global South are regulars in my weekly link review. As tempting as snarky comments and virtual eye-rolling from development insiders (myself sometimes included) are, it is important to engage with the phenomenon constructively as well. Australia’s efforts to ban orphanage tourism and to educate young people about more responsible ways of global engagement are an important step in the right direction. 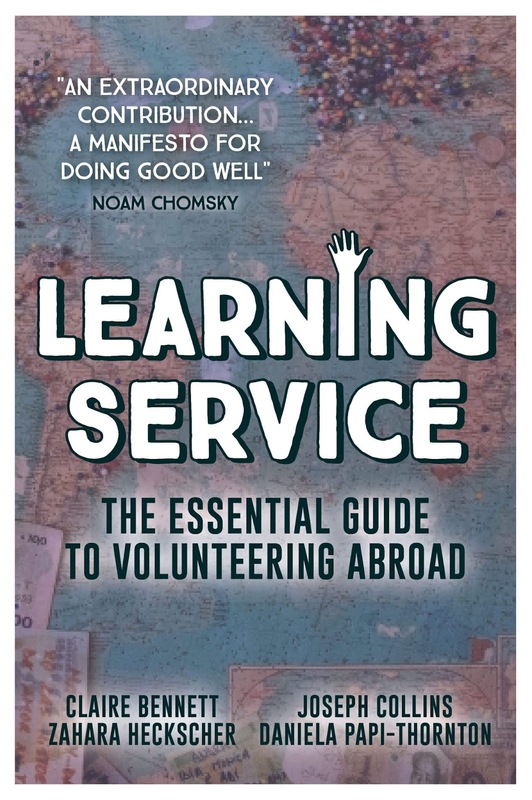 Among all those pieces of a complicated puzzle, Claire Bennett, Joseph Collins, Zahara Heckscher & Daniela Papi-Thornton deliver a comprehensive, accessible book on Learning Service-The Essential Guide to Volunteering Abroad that comes very close to delivering what the title promises. Developing a learning mindset is the first and most important step towards being an effective international volunteer (p.28). If your motivations are to give to the world in a way that makes you feel proud, valued, or that you have contributed, then your first step is to make sure you invest time in researching and identifying a project that is really worth being proud of (p.43). And that is only the beginning! The authors use about 130 pages before the readers arrive at the project level and it actually takes until page 225 before the ‘action’ on the ground is introduced. The key message is that volunteering does not start when you set foot into a new environment abroad, but it involves many iterations of researching, thinking, discussing, preparing and researching again. Although I am still involved in development work, the way I strive to beat the internal debate is to devote most of my time to global education (p.62). Doubts about your good intentions will remain-and that’s a good thing! It’s important to take the time to learn about the unique situation and challenges in the place where you are working, to take the lead from local people in what is wanted and needed, and to learn how you can be a long-term ally in challenging the structural causes of underdevelopment (p.73). Quite literally half-way through the book the authors ask ‘Still undecided?’ and encourage readers to talk to respected advisors, pay attention to values and to err on the side of caution (p.183). From prince/princess to vacationer, expert, martyr and colonialist, the book continuous with responsible field work and stereotypes to avoid. I probably would have dedicated a few pages to responsible (digital) communication and the use of media and I generally found the digital sphere a bit absent from the discussions. To me, the final part (Action Returning Home & The Rest of Your Life) is a bit too traditional for me. Buying fair trade products, starting a professional career in development or even starting your own NGO are legitimate strategies to stay connected to the ‘doing good’ sector, but maybe I was expecting a bit too much. Everything from your future career path to interacting with others on a daily basis can be part of the continued impact you have on the world, and your actions are part of a large ecosystem of inspiring people working towards – and achieving – positive change (p.343). When is ‘learning’ just neoliberal career and personality optimization? As much as I appreciate the positive tone of the book-after all we want young people and/or non-experts to be involved in development issues-I would have liked to read a little bit more about fundamental issues that a ‘learning mindset’ alone will not fix. Most volunteering is neither radical nor transformative and the professionalization of volunteering services risks that it becomes further depoliticized. But this may not be the first argument you need to throw at a high school student. But rather than the weaker final section of the book, a few pages challenging consumer capitalism in the context of development could have been a political argument to make. My other point of critique is about framing volunteering more or less exclusively in a North-South dynamic. That is still by far the most common direction of travel, but I wonder whether South-North and South-South approaches could have been added as alternatives-but also spaces of possible engagement for Northern volunteers. 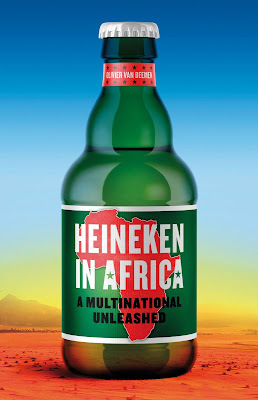 The book makes a brief reference to alternative approaches (pp.114-116), but this could have been a contribution to growing ‘decolonization’ discussions and questions of de-/re-locating volunteering in new and different ways. I am fully aware that I share my critique as an academic researcher, teacher and development communicator whose task it is to challenge the foundations of aid work and the aid industry more fundamentally. Nonetheless, Learning Service is an important, positive, constructive and encouraging collection of volunteering best practices and food for thorough reflection as well as an excellent introduction for all those who may be approached by young people or co-workers who are excited about saving the world and want to do it as ethically as this imperfect offering allows. 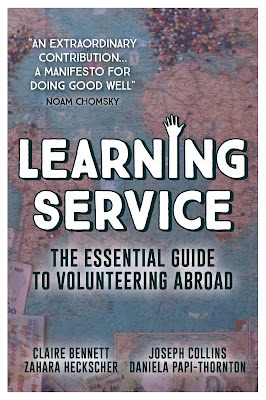 Bennett, Claire; Collins, Joseph; Heckscher, Zahara & Papi-Thornton, Daniela: Learning Service-The Essential Guide to Volunteering Abroad, ISBN 978-1-912157-06-8, 369pp, USD19.99, Wareham: Red Press, 2018.